The popular chat and VoIP app Viber, which has over 600 million users in their own words, will encrypt all calls through end-to-end encryption. It developers have announced today . Through Viber users can chat with each other and whistles. 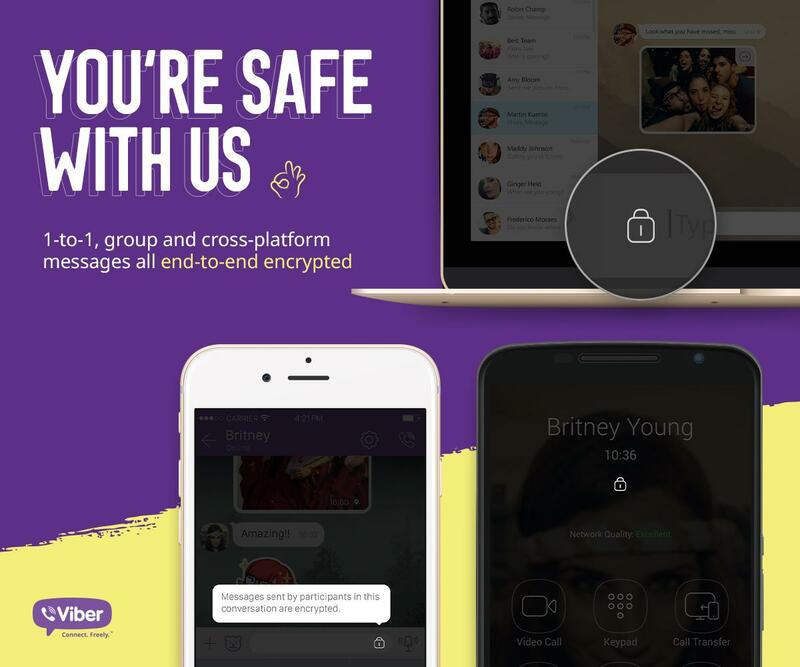 By adding encryption have Viber users under the assurance that their messages are not intercepted, whether it's for group or one-on-one meetings and regardless of platform. All that users have to do is use the latest version of Viber. Then, the chat app will show if the call is encrypted. Users will see a gray lock when the call is encrypted. It is also possible to authenticate contacts manually. In this case, the lock will be green. Rolling out the encryption will take place over the next two weeks. In addition to the announcement of encryption Viber also has "Hidden Chats" revealed. Through this option, users can hide certain conversations in the main window so that only the user knows that they exist.